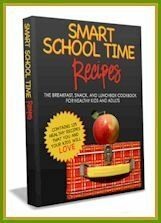 I just recently finished a 10-Day Sugar-Free Challenge. Nothing fancy, just one that I did spontaneously, but the results were amazing! You can see my posts, including the challenge I took, sweet sugar-free treats, and my results at my other blog Dairy-Free & Fit. To clarify, there is a method to my madness with more than one blog. This is food land, my kitchen, recipes that I make specifically. Dairy-Free & Fit is a conglomeration of health topics, food, fitness, and my own journal of things. The two blogs will always have different posts and updates! And yes, Go Dairy Free still keeps me busy too. ZenSoy Puddings & Soy-on-the-Go – Don’t forget, today is the last day to enter this one! Oh yeah, and that post has oodles of scrumptious dessert recipes too. Heartland Gluten-Free Pasta – Tia’s got a cute story, review, and giveaway for you on Glugle Gluten-Free. 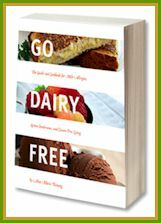 Go Dairy Free: The Guide and Cookbook – Yep, it has been a while since I’ve had a giveaway of my book, but Linda is hosting one at The Gluten-Free Homemaker! She is so sweet. Back with some ZenSoy winners (Tuesday) and a breakfast recipe (Wednesday) soon. Happy Monday! Grain-Free & Egg-Free Bread Rolls! Thanks for the link love. I like to go off sugar every once in a while. That my be next after I get this dairy thing down. But, we don’t eat much sugar anyway. Going to check out treat recipe. I always like good treats. I don’t know how you do it all! I loaned my book to a relative only because they asked and they have not returned it in a year. I am going to have to ask for it back soon since I love it! I am definitely going to try a no sugar challenge (added sugar, not fruit and starch) after the baby is born. I think it would be much easier in the summer (when I am not pregnant too hah). It’s a great way to cleanse the cravings too! When I have unintentionally not had sugar, I stopped craving it!!! Yeah, I can only imagine how hard it would be to cut things out when pregnant! I am jealous of how you keep up with everything so well! It makes me feel like a slacker. LOL You are amazing! Just wanted to stop by to say that! That’s all! I don’t know how you do it! I have a hard time maintaining only one blog! Going sugar-free for 10 days sounds like a big challenge. You are so badass! Badass … I like it, I think I need to add that to my resume.